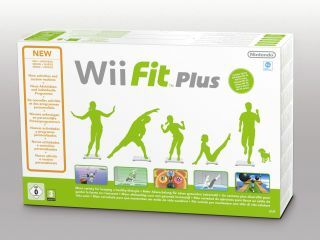 Nintendo has won permission to run the NHS's Change4Life logo on its marketing for the forthcoming Wii Fit Plus, the first time a games company has been endorsed by the UK government's Department of Health. It's a huge and positive step forward for the games industry and the wider appreciation of the positive aspects of gaming amongst non-gamers. Wii Fit unquestionably improves a user's general health, if used on a regular basis as part of a structured exercise regime. A Department for Health spokesperson told the Telegraph: "Active video games, where kids need to jump up and down or dance about as part of the game, are a great way to get kids moving." Change4Life ads came under fire from the games industry recently for portraying gaming as a sedentary (and thus unhealthy) pastime for children. "If you are worried about your bingo wings or your flabby bum, the game will give you specific exercises to target those areas," said Nintendo's UK PR manager Rob Saunders. Nintendo is not the first company that the Department of Health has agreed links with. It has previously done deals with Cadbury and Pepsi, both of which agreed to commit funds to promote the Change4Life campaign. Nintendo's Wii is also in use at Leeds' Seacroft Hospital to encourage recuperating patients to take some regular light exercise.